I bought this magazine well over a month ago. 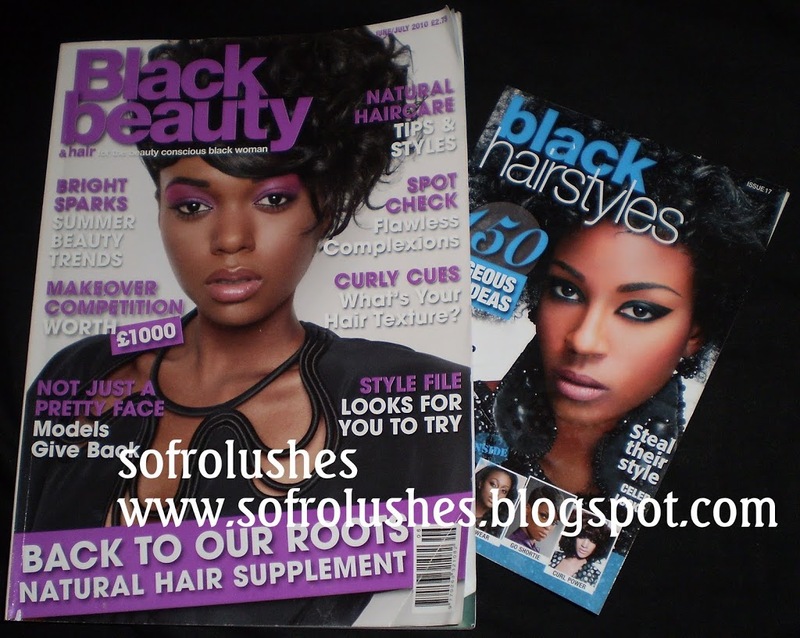 It is published bi-monthly and is one of the best known UK Black hair magazines. I am more of an occasional reader as my obessesion with hair magazines was not good. It was not like I was trying to achieve any of those styles in there. Plus as my hair is natural they no longer really cater for me the way the blogs and YouTube does. To my surprise this edition contained pages of articles about natural hair care. As usual you get the hairstyles that no one would wear outside of a hair show or photoshoot. Such as the edgy afro pics. Afro’s with sharp chunks cut in/out. Then the feature contains a 2 page spread about bloggers and v-loggers who share their tips and tricks tried and tested routines for styling their natural hair. Pretty Dimples mentions me one of her videos as I sent her a copy of the magazine all the way from the UK. Sometimes I just feel so inspired and appreciate what these ladies do. I will be checking out the other sites which I do not frequent as much.